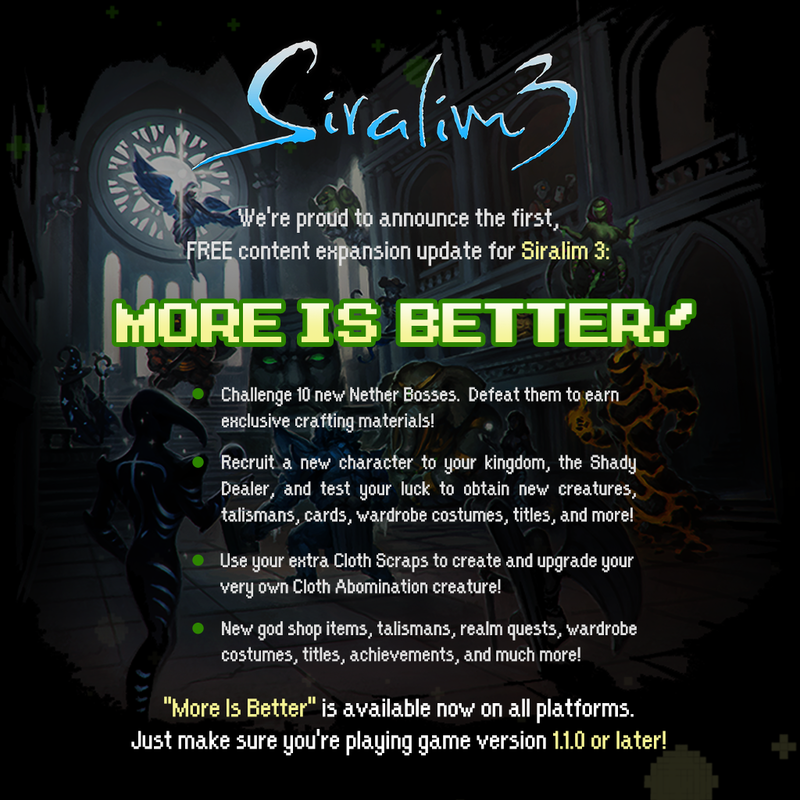 Our first content expansion update for Siralim 3, “More Is Better”, has been released! 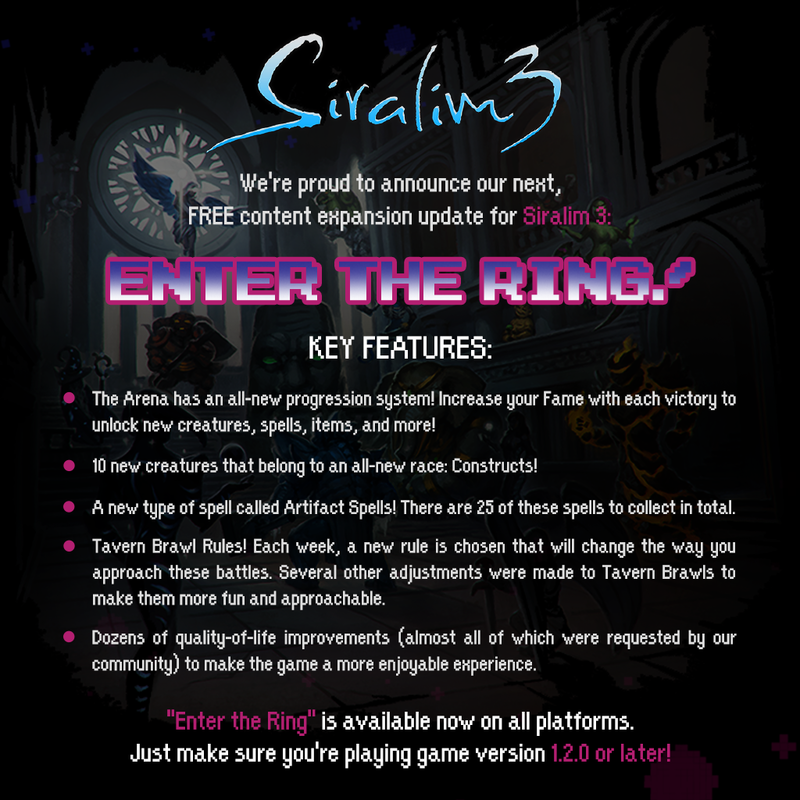 I’m proud to announce the release of our first major content update for Siralim 3: “More Is Better”! You can check out the major details in the image above, but for full patch notes, please read them in our announcements forum. 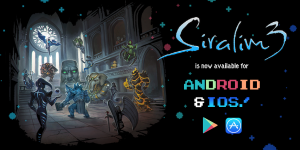 Siralim 3 is now available for Android (Google Play) and iOS! 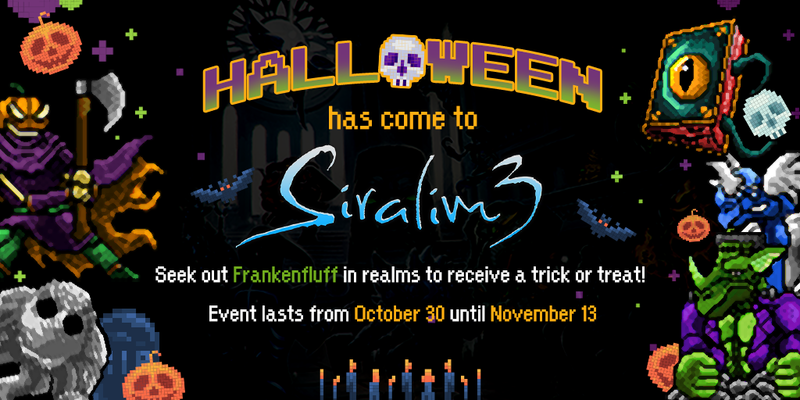 You heard right – Siralim 3 is now available for your favorite mobile device! The game should appear in your app store soon. Enjoy the game, and have a great weekend! 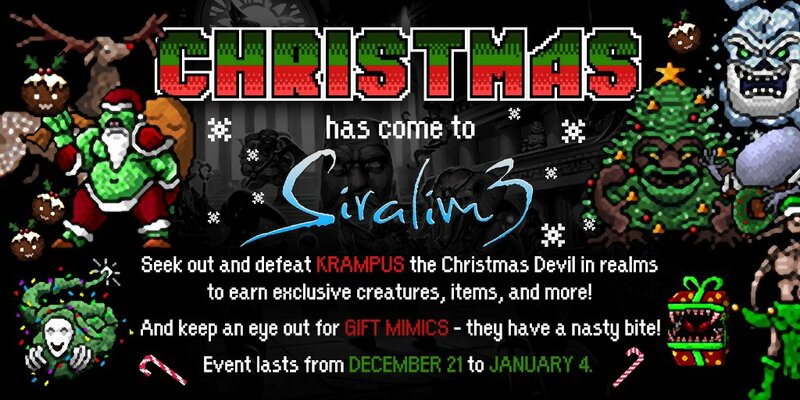 Siralim 3 has officially launched out of Early Access on Steam! The day has finally arrived! 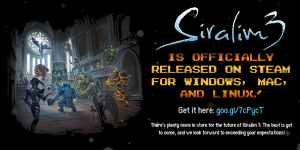 Siralim 3 has left Early Access and is now fully available on Steam. To everyone who played the game in Early Access and contributed suggestions, feedback, and bug reports: thank you for everything! Without you, the game wouldn’t be half of what it is today. Mobile (Android/iOS) versions of the game are on the way, along with a ridiculous amount of new content! Stay tuned for more updates. 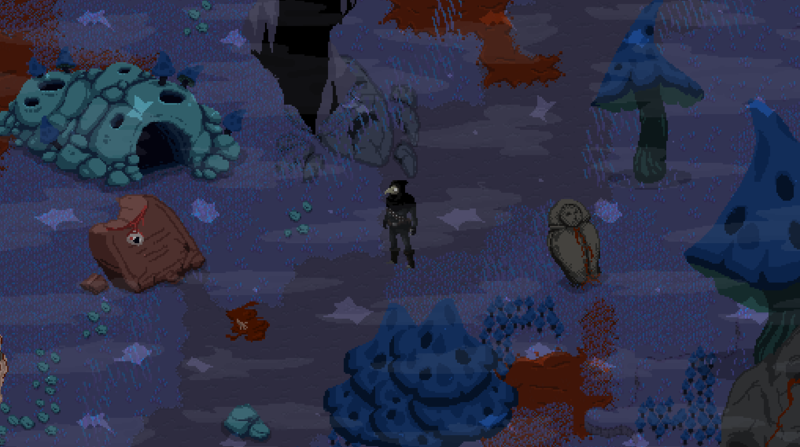 Siralim 3 release date, mobile development, and more! 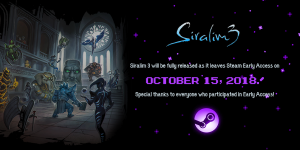 After 4 months of Early Access, we’re proud to announce that Siralim 3 will be fully released on Steam on October 15, 2018! Huge thanks to everyone who contributed feedback and submitted bug reports during Early Access. Q. Will my save files carry over to the full release? A. Yes. You won’t lose any progress at all. Q. Will there be any more updates to the game before Early Access ends? A. Yes, there will be at least one more patch to fix some minor bugs, and more importantly, to optimize the game to make it run more smoothly for players who have very large save files. Q. What about post-launch updates? Will there be more patches? More content? A. Of course! We have big plans for post-launch content updates. We’ll announce more details later on. Q. Will you ever add Steam trading cards, backgrounds, emoticons, etc? A. Yes, they’re already prepared and submitted, but Steam won’t accept them until the game is out of Early Access. You’ll be awarded the cards retroactively, so if you’ve played the game a lot, you’ll probably receive all of these rewards immediately after they’re released. Q. When will Siralim 3 be released on iOS/Android? A. As soon as possible. We probably won’t announce a date for these – we’ll just release them as soon as they’re ready. Q. How much will Siralim 3 cost on mobile? Q. How about PlayStation 4, Xbox One, and Nintendo Switch? 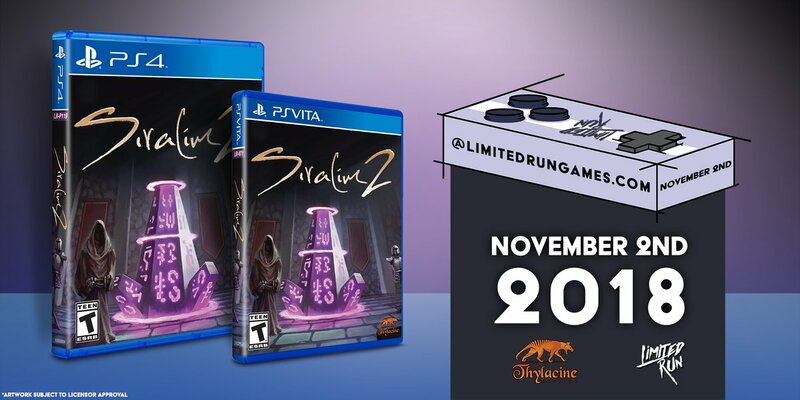 When will Siralim 3 be released on those platforms? A. Sometime in 2019. Unfortunately, that’s as accurate of an answer as we have for now – sorry! As for Switch: unfortunately, the game was rejected by Nintendo, and while we’re going to keep trying to get on Switch, we can no longer promise that it will ever happen. We’re also open to working with a publisher for Nintendo Switch, so rest assured that we’ll do everything we can to release it on this platform. 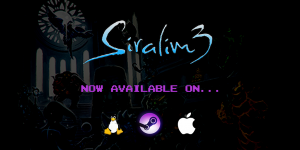 Siralim 3 is now available on Steam for Mac, Linux, and SteamOS!